What is ‘real’ Australian cuisine? Over the past 15 years, I always got asked the question what Australian cuisine is about. Even when my parents in-laws visited Adelaide last year, the same question appeared again. Recently, the City of Onkaparinga has been chosen for the first Pop Up Kitchen for Jamie’s Ministry of Food. This is a real winning for South Australia and indeed lead our state to become the food capital of Australia. In speaking about Aussie cuisines, SA has got the voice, although there are different food and dishes eatern across Australia. Every country has its own distinctive cuisine, so what do Australians eat? If you’ve never been down under, you might hazard a guess at barbecued food, shrimps, maybe even alligator steak. Let’s break down some of the stereotypes and have a closer look at the kinds of delicious meals this country should be famous for. Modern Australian cuisine is a real mixture of the foods brought from Britain and other European countries and dishes created by the indigenous population, using the abundance of local foodstuffs. Over the centuries, it has also been influenced by the influx of migrants from the rest of Europe and Asia. It’s a real melting pot! The Aboriginal people learnt to make the most of the fresh produce around them, depending on the region they lived in. This ‘bushfood’ consisted of meat, including kangaroo, wallaby and emu, supplemented by insects and smaller animals, such as snakes, lizards, bogong moths and nutty witchetty grubs – eaten raw or roasted on open fires. 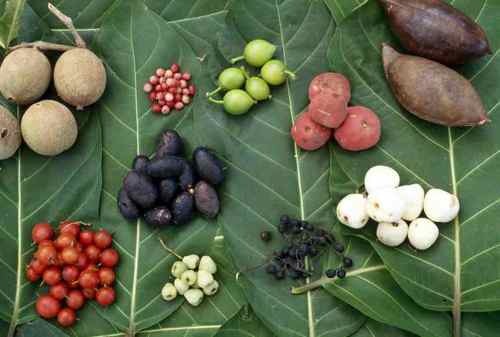 The Aboriginal people included honey, berries, spices, macadamia nuts and wild fruits in their diet, too. Quandong is a native peach, and other unusual native fruits include Munthari berries, Illawarra plums, Riberry and Lilli pillies. With a vast coastline and some fresh water rivers and lakes, fish and seafood have been a major part of the menu for tens of thousands of years. Lobsters, prawn, mud crab, tuna, rock lobster, salmon, abalone, pacific and rock oysters, Balmain bugs (similar to a lobster), mussels, barramundi, kingfish and finfish are just some of the edible sea-life you’ll find here. 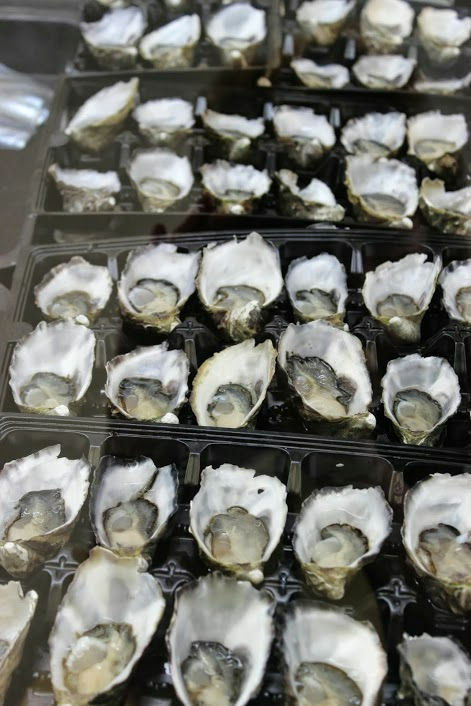 In all, around 600 varieties of marine and freshwater seafood species are caught and sold in Australia for both local and overseas consumption. 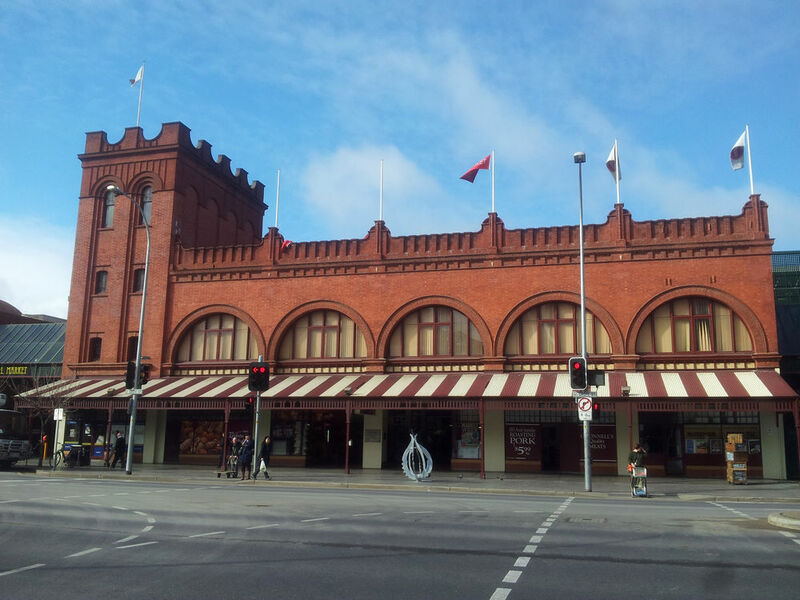 In Adelaide’s world famous Central Market, a huge selections of fresh local seafood are on sale. Why not venture down there to pick up something “Australian” or just “South Australian” to try?! Australia is a country which loves the outback region and people here, in general, enjoys the consumption of meat from native animals. Kangraoo, emu, wallaby, venison and alpaca meats have recently become quite popular among diners because of their distinctive tastes and flavours. On the other hand, in South Australia especially, traditional meat animals produces some of the best meat in the world. 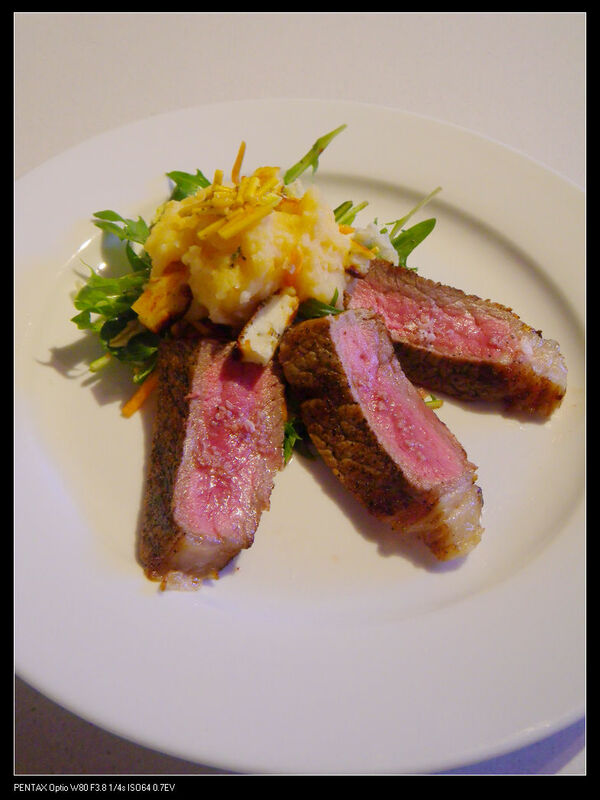 Coorong Angus beef and Mayura Station Wagyu beef are two big branded examples to showcase the great Australian produce. Other than beef, berkshire pig farms are spreading on the Australian land as well as some top quality lamb and chicken. If anyone ever has a chance to experience a real Australia and South Australia, these are just some of the produce that should not be missed. A pie floater is something you might find on the menu here – a dish in which a meat pie (usually minced beef with gravy in a flaky pastry shell) is served atop a bowl of thick pea soup. 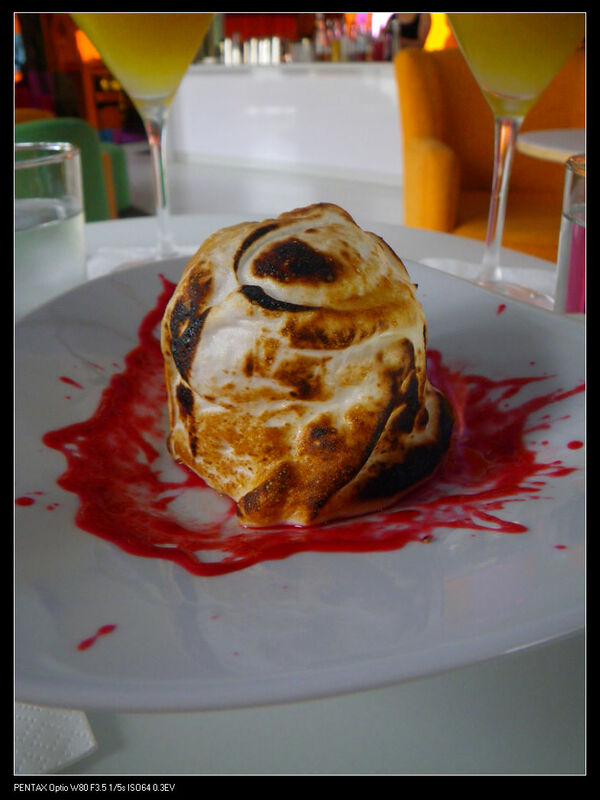 It’s often covered with tomato sauce and mint sauce, with seasoning to taste. 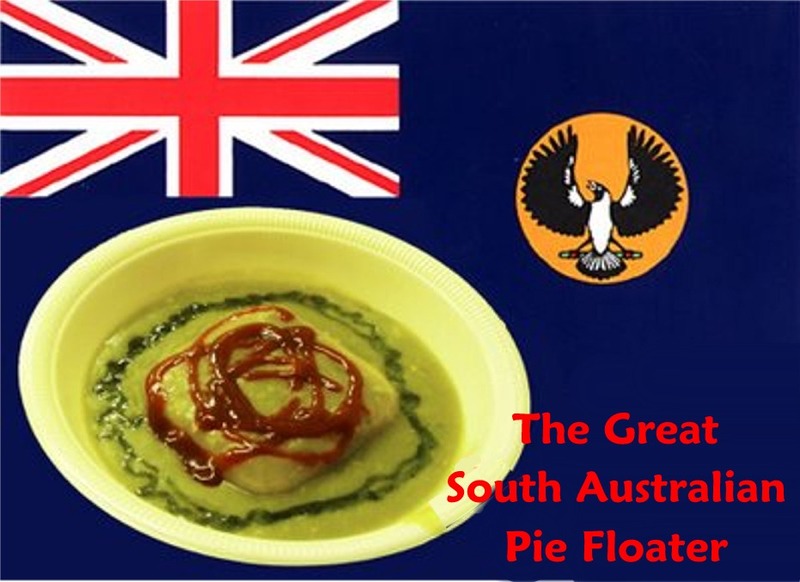 In South Australia, the history of pie floaters is over 130 years and many people refer it to as the “legendary Adelaide pie floaters”. Damper is a kind of soda bread, once a staple of labourers and travellers. Made from a simple recipe of wheat flour, water and salt, this bread is traditionally baked in the coals of a campfire. It would have been eaten with bush meat but today it’s often baked with milk, nuts and may be eaten as a sweet snack with butter or jam. The chiko roll was inspired by the Chinese egg roll. Packed with a variety of vegetables and beef wrapped in dough and deep fried, it’s a little like a Cornish pasty. It’s a popular snack at sporting and other events. On the sweet side of things, the ubiquitous pavlova and Anzac biscuits are considered national deserts. Pavlova is made from meringue filled with fruits and whipped cream – a pudding named after a Russian ballet dancer and said to be first created in Australia in the 1920s or 1930. Anzac biscuits are associated with Australia and New Zealand Army Corps (ANZAC) who received these snacks from their wives during the First World War. Made from flour, sugar, desiccated coconut, rolled oats, butter and golden syrup, they remain just as popular today. 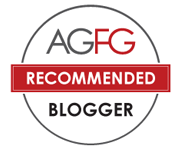 This article only described some of the Australian food experience, with a focus on South Australia especially. To explore the South Australian food and wine scene, you can also visit the South Australia Food and Wine microsite. If you think South Australian food are delicious or mouthwatering, make sure to visit our capital city Adelaide to enjoy the “wine & dine” yourself. So, readers, what is your understanding of REAL Australian cuisine? Any dishes can be considered as our national dish? I’d love to hear from you. G’day! This is only the tip of the iceberg re Aussie cuisine Xin! Great highlights! Exactly Joanne. It’s only touching the surface of the block. Our cuisine is so rich and diverse! Congrats to the City of Onkaparinga! Personally I’d rate the pie floater to be our state dish, but bbq is definitely national. Good article to show to foreigners what Australian cuisines are about. Well done on touching some basics about Aussie cuisines. I’d think we largely inherited the British and European cuisines and fused them with Asian culinary techniques.